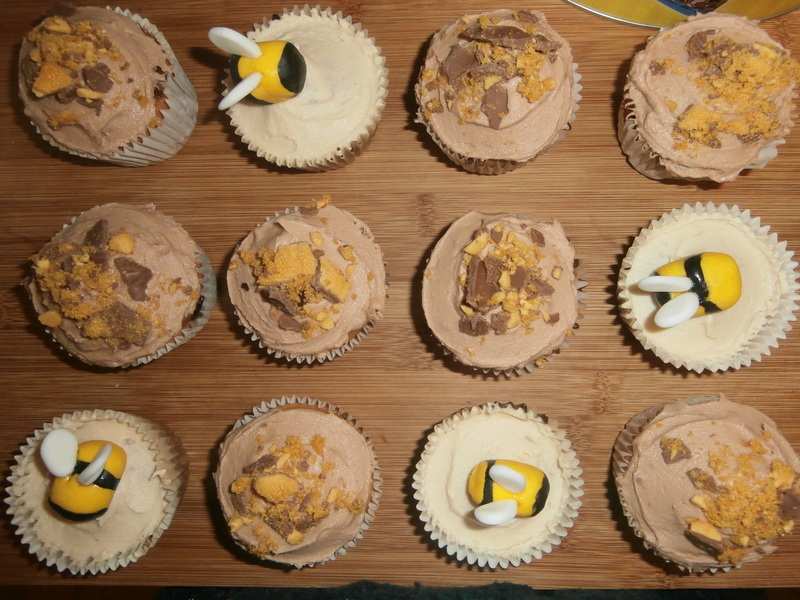 A work colleague of mine is a bee-keeper (a random hobby I know) and in exchange for some honey I baked some cupcakes and muffins to take in to work. Honey & oat cupcakes, and banana & honeycomb muffins. I personally don’t actually like honey but decided that if there was any left at the end of the day I’d try a banana one- unfortunately (or perhaps fortunately?) they were all gone by the time I got a look in!